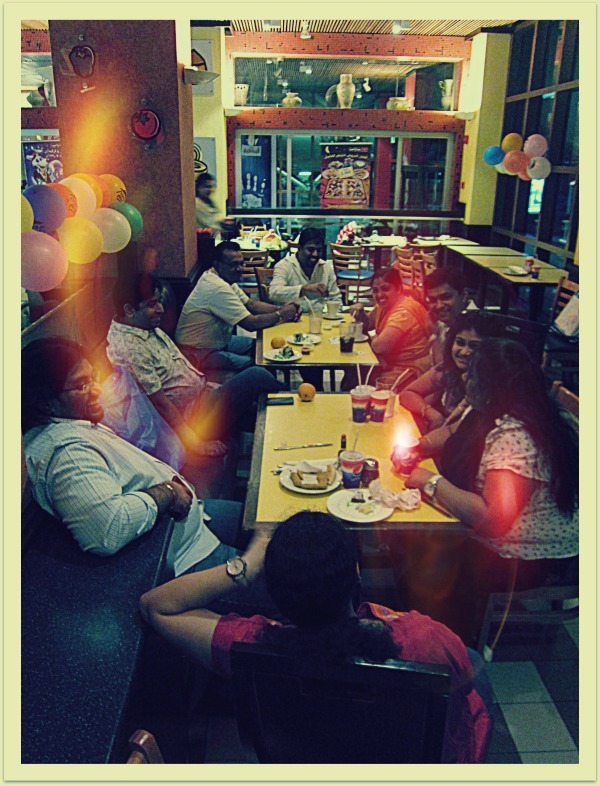 Took part in celebrating Shivam's Birthday at Pizza Hut (their Scientific Centre branch). Officially my first birthday celebration at a restaurant. Didn't realize they cud be this much fun! Sack raced after some 20 yrs! Seen here is the gang relaxin at the end of the party, when the guests started dispersing. Kinda added a lens flare/ light effect on the image. I have old memories tagged with pizza hut. They haven't done up this branch with their new identity yet, so still kinda old-school.